Today’s growing volume and usage of digital media content requires specialized tools and solutions that can simplify and automate managing and moving content to a variety of platforms, systems and devices. These tools must help content creators speed up their workflows and dynamically adapt to changing requirements to meet tight production and delivery deadlines. 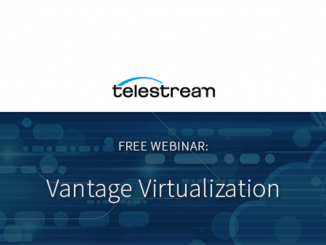 One such solution supports these goals by integrating the Empress media asset management (eMAM) solution with Telestream’s Vantage media processing solution. 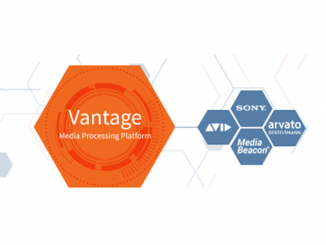 Among its media processing capabilities, Vantage supports a wide range of transcoding formats and codecs. With eMAM, users can open any browser or native tablet application to log, tag, review/approve, storyboard, share, distribute and archive assets. It also manages native content in different storage tiers and locations, including archival and cloud-based, while using proxy copies to provide worldwide access. 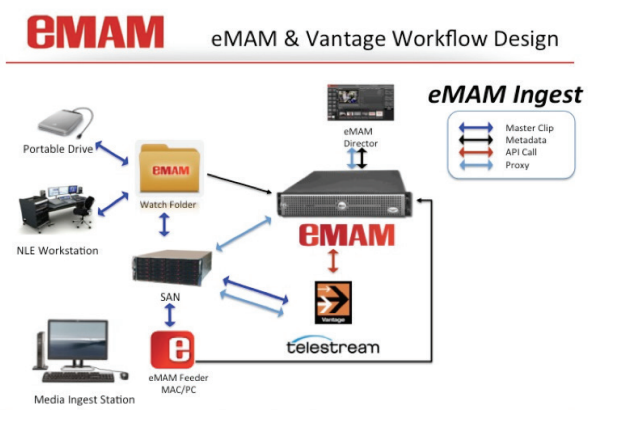 With the API integration of eMAM and Vantage, users can use the eMAM interface to drag and drop media assets they want to move from any storage location to Vantage for transcoding. When assets need transcoding, the eMAM SuperAdmin Console serves as a user-friendly interface that allows IT staff to simply place the desired assets—along with their metadata—into the Delivery Widget, which delivers them to Vantage. 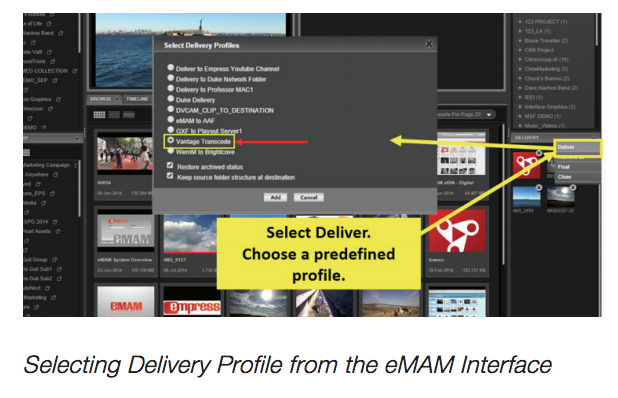 Media professionals can then use this eMAM interface to select the appropriate pre-configured delivery profile they require to launch the delivery process. 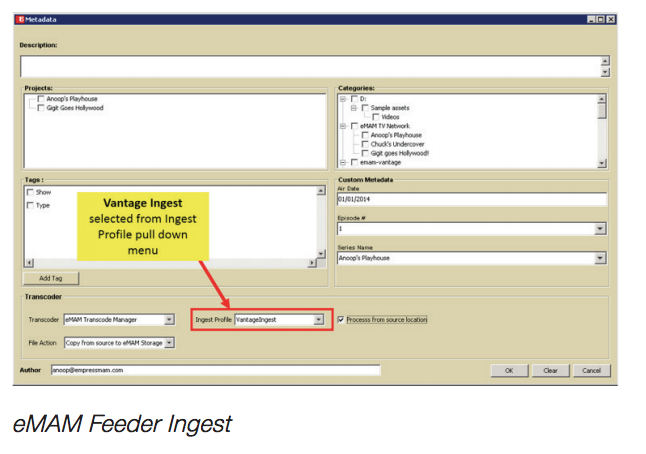 They can also preconfigure and change system profiles, including those related to ingest and delivery. 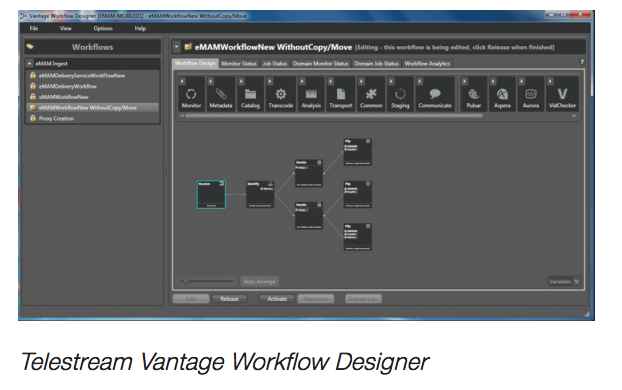 The eMAM also provides an interface to the Vantage Workflow Designer. This tool allows technical or administrative users to create real-time decision tree branches that route assets to the appropriate destinations, as well as define and automate complex, multistep processes. 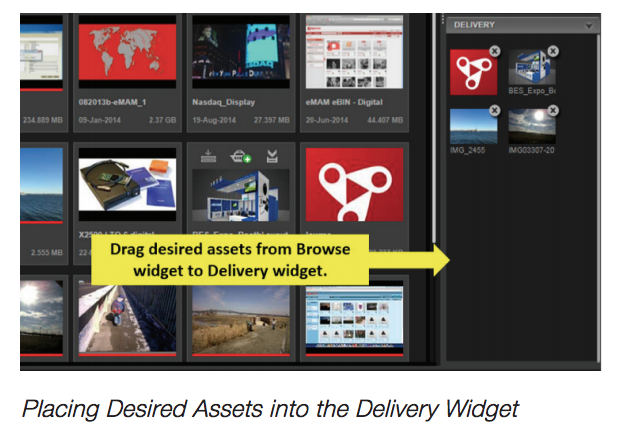 Another feature, the eMAM Feeder, lets users choose any predefined Vantage ingest workflow to automatically trigger ingest using the chosen assets. From the eMAM/Vantage user interface, both tech-savvy and non-tech-savvy users can launch a production workflow. 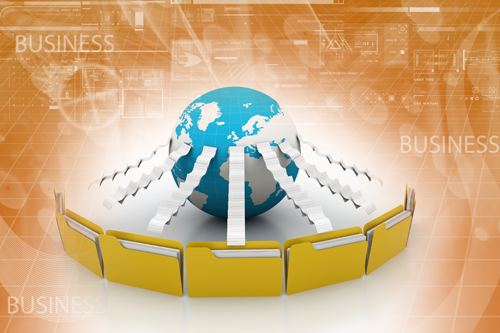 Vantage performs the transcoding and then routes assets to the appropriate destinations. The following are examples that illustrate how the Vantage/eMAM integration helps customers. 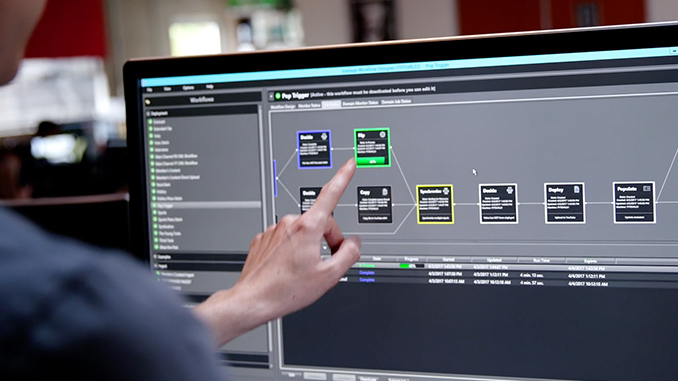 A well-known religious broadcaster uses the integrated eMAM/Vantage solution to gather a high volume of media assets from around the world and deliver them to its headquarters for editing and processing. This Vantage workflow involves unwrapping DPX RAR format files to extract DPX animated sequences, and converting the DPX structure to their house format ProRes 444 HQ for use by the editors. Vantage also creates h.264 proxy files and delivers these to their production server for previewing and editing. The original files are then transcoded to multiple output formats for broadcast, mobile and web delivery. A large production facility that creates educational videos for museums regularly receives assets from around the world that need to be converted from a variety of source formats to the facility’s house format, ProRes and DnXHD, for editing. In separate workflows, inbound media needs to be converted to h.264-formatted files for previewing, edited files needed to move back to the eMAM system for review and approval, and then Vantage delivers the final versions. 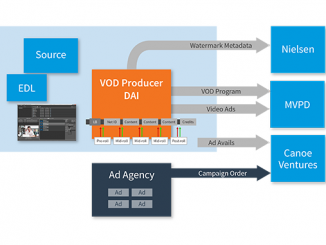 These complex workflows are just some of the myriad of possible workflows that can be enabled and accelerated by the integration of the eMAM and Vantage file-based transcoding systems. To learn more about Telestream’s workflow solutions, visit our website or call us at 1-530-470-1300. You can also download our solution brief, Vantage & Empress eMAM. To learn more about Empress eMAM visit their website, or email emamsales@empressmam.com.